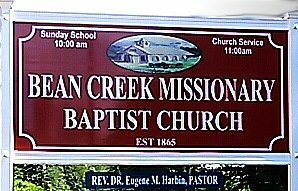 It is a tremendous joy to welcome you to the Bean Creek Missionary Baptist Church website. Founded in 1862, it has been a blessing for the church to represent Jesus Christ for over 155 years. Please enjoy learning about us. As you visit, it is our prayer that this experience will enhance your desire to appreciate worship, meditate on God's Word and continue to serve faithfully. Enjoy your time on our site and bookmark us! Better yet come worship and fellowship with us! Sunday School Breakfast - Casual Day - Every 5th. Sunday - 9:30 a.m. 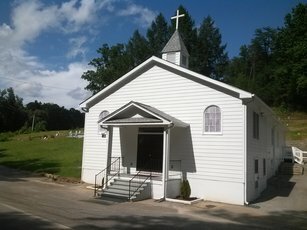 The Old Bean Creek Cemetery is located on the hillside surrounding the church. The cemetery is the final resting place for generations of Bean Creek families. Called to Model Jesus Christ through Worship, Prayer, Bible Study, Evangelism, Discipleship and Service.